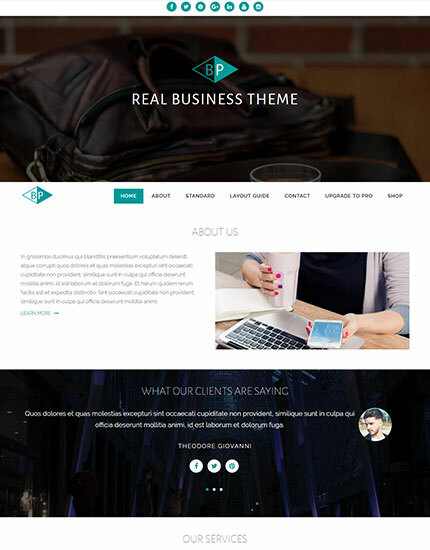 A clean, modern, engaging and responsive WordPress business theme ideal for business portfolio and company corporate identity showcase. 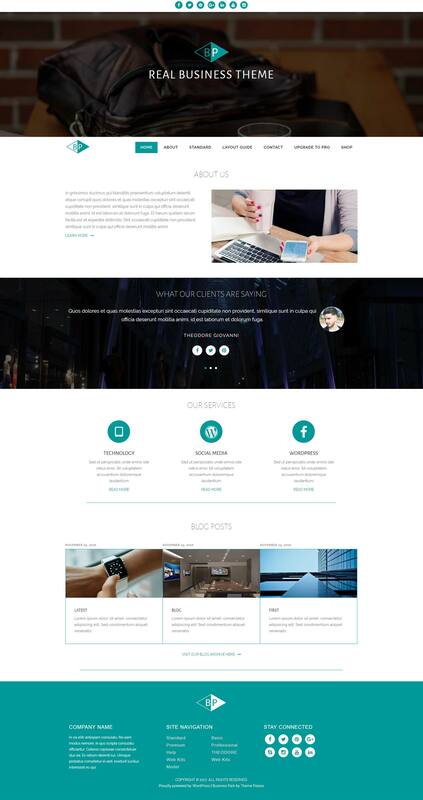 Features including full width and boxed layout, image popup with slider, social sharing, focused content, pretty effects, portfolio showcasing, testimonials. 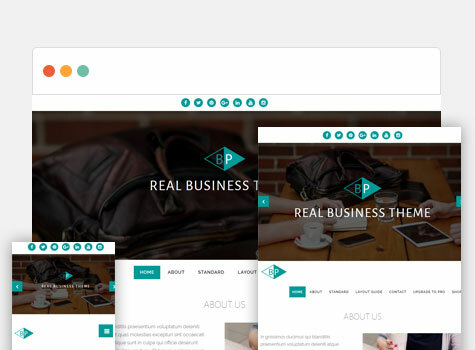 It is loaded with theme options and provides several features to make user-friendly, interactive and visually stunning website with implementation of all features of latest WordPress like partial refresh. 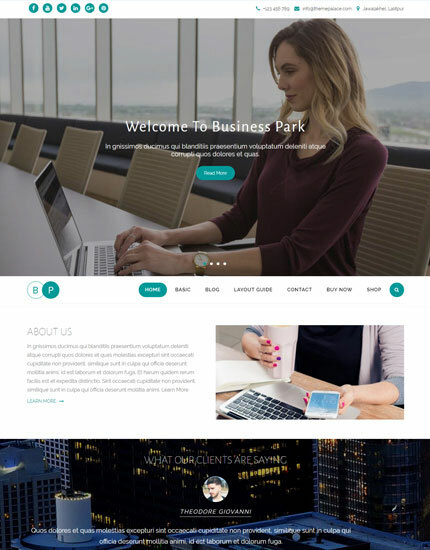 It is compatible with top WordPress plugins such as WPML(multilingual ready), JetPack and Contact Form 7.
Business Park has integrated WooCommerce Plugin. You can sell your products right away. 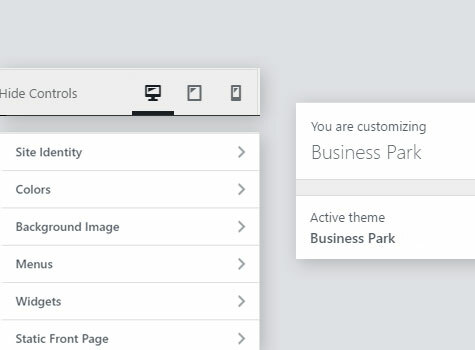 Business Park has integrated Jetpack Plugin. It is used for Infinite Scroll. Business Park has full support for responsive design. 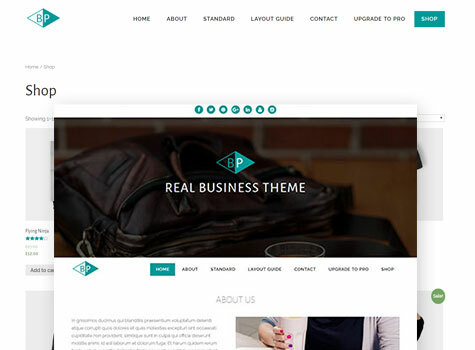 Business Park provides you ease on customizing theme options and home page sections.